On December 17, 2016, Ethiopia inaugurated Gibe III dam, under the aegis of the country’s prime minister, the Italian construction company Salini Impregilo’s chief executive, the Ethiopian Electric Power chief executive and the Chinese ambassador, among other investors . 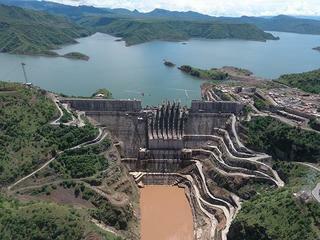 According to the project promoters, the dam is going to boost Ethiopian economy and bring prosperity to the country. But one should question the word ‘prosperity’ after reading about the episodes of violence reported by Oakland Institute. Some 50 members of the Suri tribe in the Omo were massacred by Ethiopian government soldiers who were forcing them to move from their land. 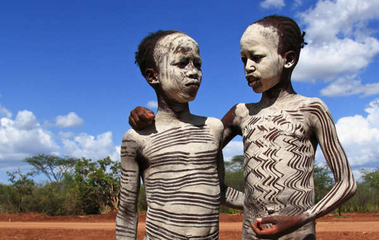 This is just an indicative episode of a long period of controversial practices around the construction works in the UNESCO World Heritage site Omo valley. In fact, the consequences of the impacts on the river ecosystem and its inhabitants downstream of the dam has called the attention of NGOs fighting for human rights and environmental justice protection internationally . 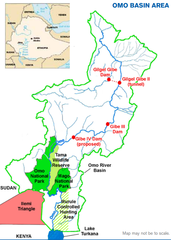 The Gilgel Gibe III dam is located about 62 km west of Sodo in the Southern Nations, Nationalities, and Peoples' Region. 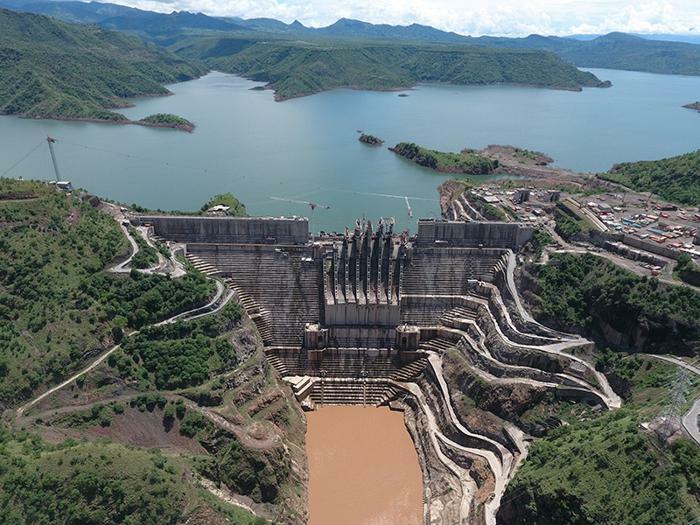 It is the third largest hydroelectric plant in Africa with a power output of about 1870 Megawatt (MW), and part of a series of facilities in cascade, after the existing Gibe I (184MW) and Gibe II (420MW), as well as the planned Gibe IV (1472 MW) and Gibe V (560 MW) dams. Together with the Grand Ethiopian Renaissance dam (6000 MW, the largest in Africa), the structures form part of energetic strategy included in the ‘Growth and Transformation Plan’ (GTP) of the African federal republic, a five-year development plan which guiding end is ‘eradication of poverty and dependence on food aid in a shorter period of time’ . But the fulfillment of such objective cannot avoid dealing with the about 700,000 inhabitants around the valley and Lake Turkana, which are characterized by a multiplicity of ecosystems, cultures and languages. These tribal communities belong to at least 16 distinct ethnic groups which survival depends on traditional farming, forestry, breeding, herding and fishing. Salini is proud to declare that the intervention ‘offers benefits for local communities’, enabling the development of fisheries, preventing the occurrence of floods, and preserving the traditional recess agriculture . 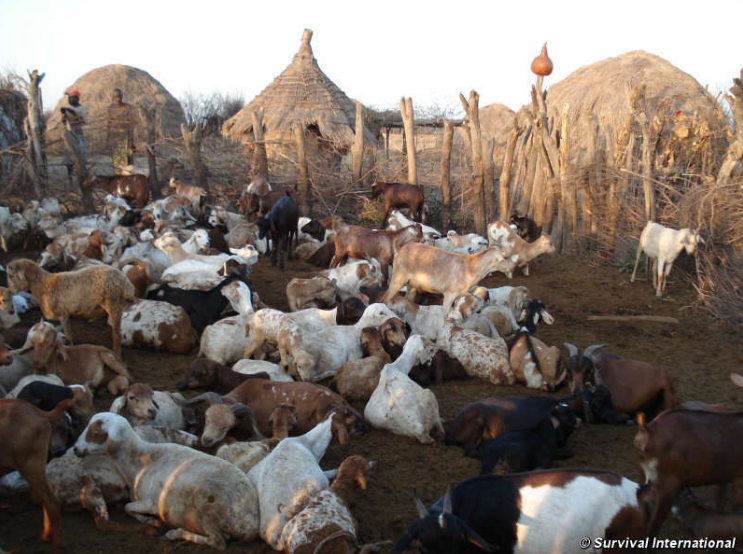 But the NGO Survival International has a different take on the intervention, enough to report to OECD for human rights violation, on behalf of tribal people and indigenous communities of lower Omo valley and of Lake Turkana in Kenya . After a fieldwork on the Lower Omo, in April 2012 Survival International filled a petition against the Ethiopian Government through the African Charter of Human and Peoples Right (ACHPR). In the petition, the NGO claims that Salini did not respect some of the ACHPR’s articles. According to them, Salini violated i) the right of people’s self-determination, as the communities were not asked to consent to or even consulted about the project before it began; ii) the right of free disposal of people’s wealth and natural resources, as local populations have lost or are likely to lose the vital means of subsistence previously guaranteed by the annual floods of River Omo; iii) people’s right of choose their development paths, as no proper impact assessment was produced. These actions go against also to the principles set within the UN Global Compact, which Salini subscribed in April 2013. At the stage of project design, an impact assessment was indeed produced. The Italian consultancies CESI and Agriconsulting S.p.A., in association with MDI Consulting Engineers of Ethiopia, were charged with the responsibility of preparing the Environmental and Social Impact Assessment (ESIA) in 2008. But The Africa Resources Working Group (ARWG) promptly responded with a counter-assessment which is deeply critic of the official ESIA . They invalidate the document as a whole, as it “rests on a series of faulty premises and that it is further compromised by pervasive omissions, distortions and obfuscations”. While in the endorsed ESIA the Gibe III dam “will not cause significant harm” downstream, the ARWG report individuates a high risk for the ecosystems and communities that depend on the ‘traditional’ water flow of the Omo river. Among the expected key effects, they individuate i) a radical decline of fish productivity in Lake Turkana due to the reduced inflow; ii) risk of increased seismic activity and landslide potential in the region; iii) major transboundary ecological degradation of the Omo delta shared between Ethiopia, Kenya and Sudan; iv) elimination of a consistent part of riverine forest and woodland due to 50 to 60% reduction of river flow volume; v) recession of cultivation for indigenous communities; vi) land expropriation; vii) obfuscation, distortion and ‘fabrication’ of public consultation and of flood simulation data. But Salini did not act alone. 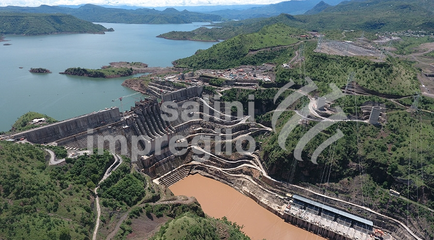 After the ‘sisters’ Grand Renaissance Dam, Gibel I and II dams, the governmental company Ethiopian Electric Power Corporation (EEPCo) contracted Salini for Gibe III through directed negotiation, at the time when the Italian Minister of Foreign Affairs was considering financing the project with up to 250 million Euro . After that both the European Investment Bank and World Bank decided not to, the Industrial and Commercial Bank of China (ICBC) stepped forward and approved a loan for a US$500 million in August 2010 . At the same time, the Chinese company Tebian Electric Apparatus Stock Co., Ltd was contracted for the transmission line to Addis Ababa, being backed up by the Exim Bank of China. Finally, in July 2012 the World Bank financed USD$684 million the high voltage direct current transmission line between Ethiopia and Kenya . No official statements on the conflict are reported in the outcome documents of the United Nations Conference on “financing for development” held from July 13 to 16 in Addis Ababa. Meanwhile, the Italian public insurer SACE already declared willing to cover a significant portion of the funding needed to develop the brand new Gibe IV. The construction companies started works of river diversion in 2009 and concrete (RCC) laying activities began in 2011. The dam's pre-impounding operations were carried out in August 2014, while the final impounding phase was completed during the first months of 2015. An RCC-laying World Record was set between December 11 and 12, 2014. By June 2015, six million cubic meters of RCC had already been laid and one billion cubic meters of water had collected in the reservoir formed by the dam. project area lies at 757,225 North and 312,293 East. Development of Alternatives An adequate compensation of affected populations and restoration of the region and recognition by international institutions (UN, OECD,…) of the inappropriateness of the project. Why? Explain briefly. it is unlikely that the government concede any appropriate compensation or ecological restoration measures. We have to wait OECD to express an opinion on the case. The Gibe IV and Gibe V project are under approval. The Oakland Institute, 2014. Engineering Ethnic Conflict. The toll of Ethiopia's plantation development on the Suri people. WATER TO DUST. Winner Best East African Documentary, Mashariki African Film Festival, Kigali, 2017. Lake Turkana, known as the Jade Sea, is the world's largest desert lake. It is a UNESCO World Heritage site, dotted with islands home to their own crater lakes, Nile crocodiles and one of the world's largest populations of wild flamingoes. 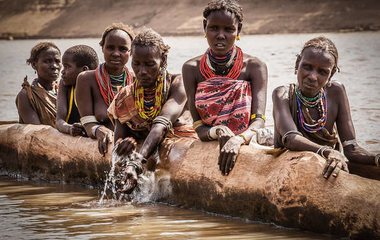 But 90% of Turkana's fresh water comes from the Omo River, recently dammed by neighboring Ethiopia, as part of a vast hydropower and irrigation scheme for sugar plantations. How will the project affect hundreds of thousands of Kenyans who live close to Turkana's shore, especially the fishermen who depend on it for their livelihood?